Happy Easter weekend! We hope your weekend is filled with family, friends and those you hold dear to your hearts. That memories would be made, and miracles would happen. Here is our own miracle story from this week. Over the past month we had noticed that week after week one of our boys had not been showing up for meals, for soccer, or for any of the special events. As we continued asking around they kept telling us that he was just sick. So last week, Sam, our Village coordinator decided to stop by his school to see if he was there and find out what was going on. To his surprise, the teacher informed him that ‘M’ had been out all month. “All month? !” Sam, decided then he needed to go visit ‘M’ to see what was going on. Because none of us knew where ‘M’ lived, Sam went door to door until finally he reached his house. Upon arrival, Sam was met with devastating news. The family informed us that ‘M’ had been in the city all month in the hospital, getting test after test ran, with no resolve. This typically strong, full of life, energetic 12 year old, now laid on his family’s bed in the fetal position. Weighing no more than a 6 year old, frail, in excruciating pain, delirious, and no longer recognizing those he loved. His precious body was shutting down. Sam gathered the family, and began to share about the resurrection power of Jesus. Together they held hands, and prayed over ‘M’, that he would not die but live. And that he would be healed in Jesus name. As Sam got ready to leave he let the family know he would be by every day to bring them food to eat and to pray with them until they saw a miracle. The NEXT DAY, Sam arrived at the home with a meal for the family and to everyones surprise the family greeted him and said “come in and see ‘M’”! He was up moving about the house, talking to everyone, and had full color back in his face. Everyone was shocked. His body was coming back to life. The following day, before Sam even arrived at their door, he saw ‘M’ outside PLAYING! Playing!! Be encouraged this Easter weekend, that God’s not dead but alive and desires to show you His intense love, His unwavering mercy, and His infinite power. That He is for you. If you need a miracle in your own life, or in the life of someone you love, we are praying for you this week. That you would see the goodness of the Lord. That simple statement lead to us asking more questions, only to find out that family after family were unaware of a menstrual cycle. Unaware of how you got pregnant and unaware of the regular workings of the female body. Our team began brainstorming and discussing how we could approach the topic without breeding shame, when a representative from Days for Girls reached out to come and share among our communities. A few weeks later we agreed to partner with Days for Girls to host a 3 week class on menstrual care and the female body. Their mission: to turn periods into pathways. Increasing access to menstrual care and education by developing global partnerships, cultivating social enterprises, mobilizing volunteers, and innovating sustainable solutions that shatter stigmas and limitations for women and girls. Beautiful right? Next, was who we were to invite. 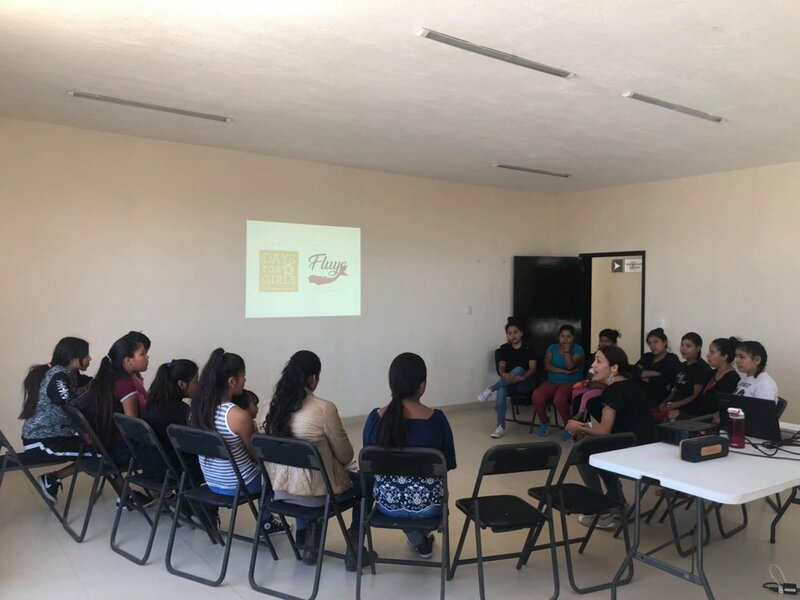 We sat down with our team and complied a list of women who we knew among the community that would trust us with this topic, but also who has influence with their neighbors to begin to teach and speak into the situation at hand, and encourage them to come to future classes. The ladies filed in one by one. Until the last of the chairs were filled. We received such great feedback from our first class and cannot wait to see how this simple class transforms not only their lives but an entire region in the months and years to come. Thank you, Days for Girls, for investing in our community. How Are The Homes (Orphanages)? It has been awhile since we last updated you on our homes. Due to the nature of the children’s situations and the different homes having different guidelines we often don’t get to post much about them. But just because we can’t post doesn’t mean we aren’t spending time weekly in each of them. People often still ask, are these your homes? And the answer is no. 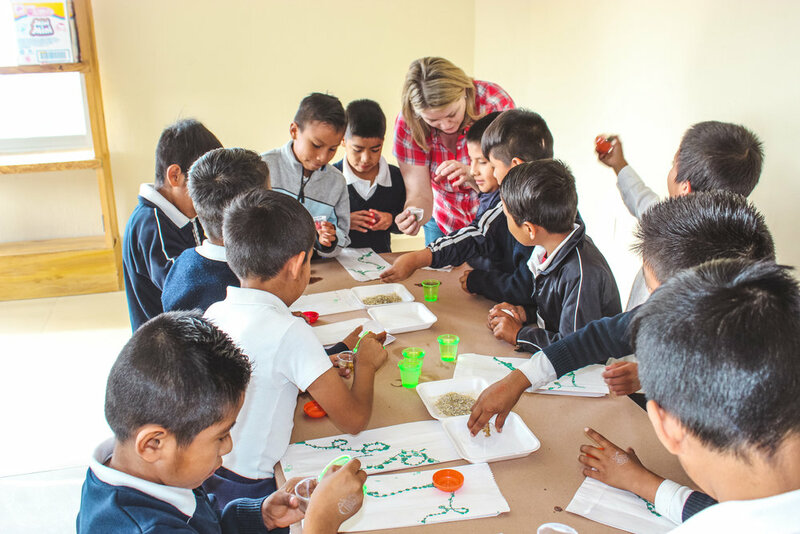 We partner with existing homes (orphanages) throughout the state of Jalisco to see that each of the homes and their children succeed to the best of their abilities. Each home gets a custom program based off their greatest needs. Each year we sit down with the directors and have an annual review and evaluation which means some of our homes simply receive extra hands to help, while others receive tutors, protein and produce, Bible classes, mentorship, respite and more. We work hard in partnership with these homes to see them succeed, but more importantly to see the children thrive. Often, more times than not, once a child leaves the home due to aging out or other more unfortunate circumstances, we are the first they reach out to. 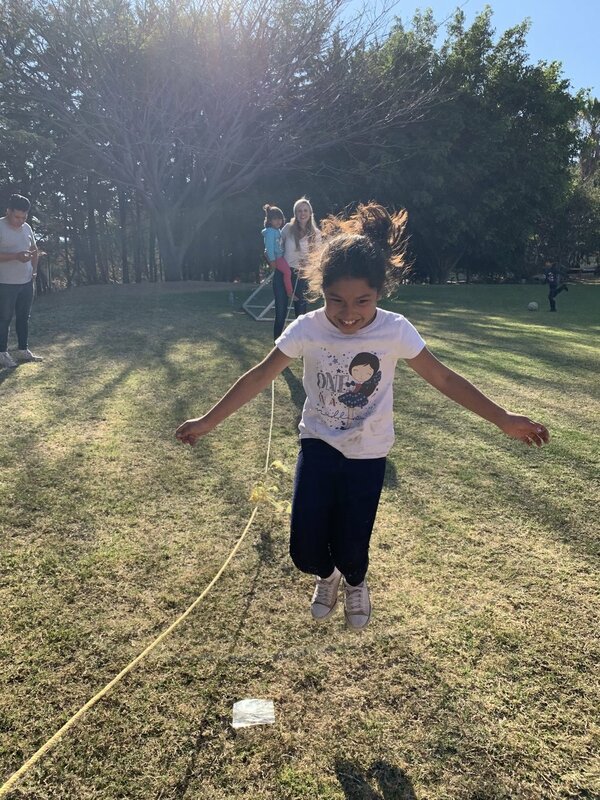 The connection our team makes with the children is so vital to their long term success. Knowing that they have a connection to the “outside world”, that is a positive influence and who is on their side is often what keeps them from being another statistic on the street. We love these kids fiercely and are forever grateful for the directors and homes for allowing us to pour into their kids, and simply be another example of what healthy love looks like. Want to meet the kids and hear their stories first hand? 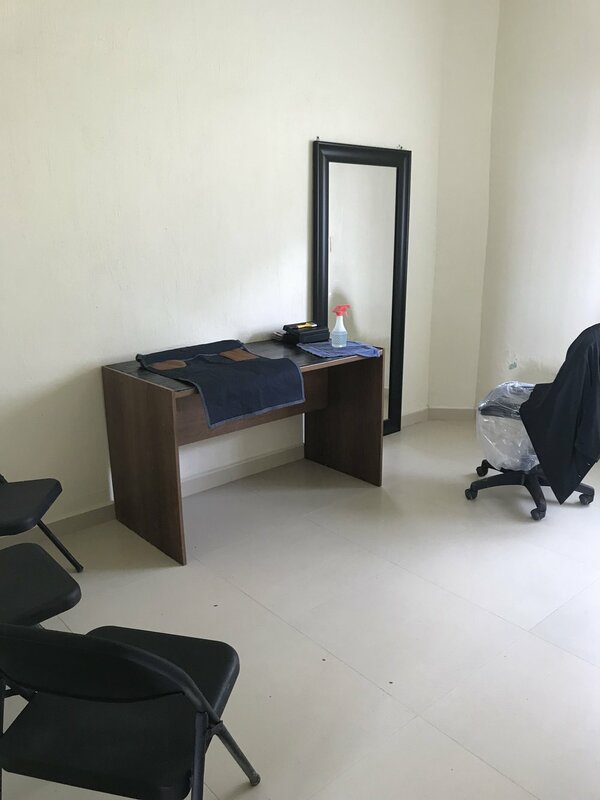 Come visit us in Guadalajara! You are always welcome. It has been a busy couple of weeks for us as we have been dreaming, scheming and planning alongside our latest partners, Pink Ever After. Pink Ever After is an online store based out of east Tennessee whose mission is fueled by their passion to give. 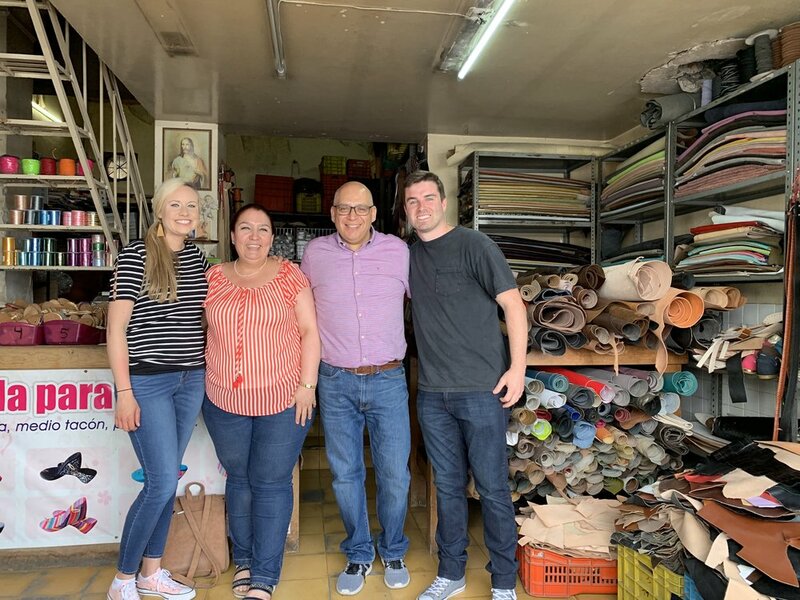 Their owners, Whitney and Seth Coyler joined Jaclyn and the Marked team this past week in Guadalajara along with another long-time Marked Partner, Angel to create something incredible. Every day, the Coyler’s went above and beyond to sow generously into our communities through our mission of empowerment in the form of sustainability. 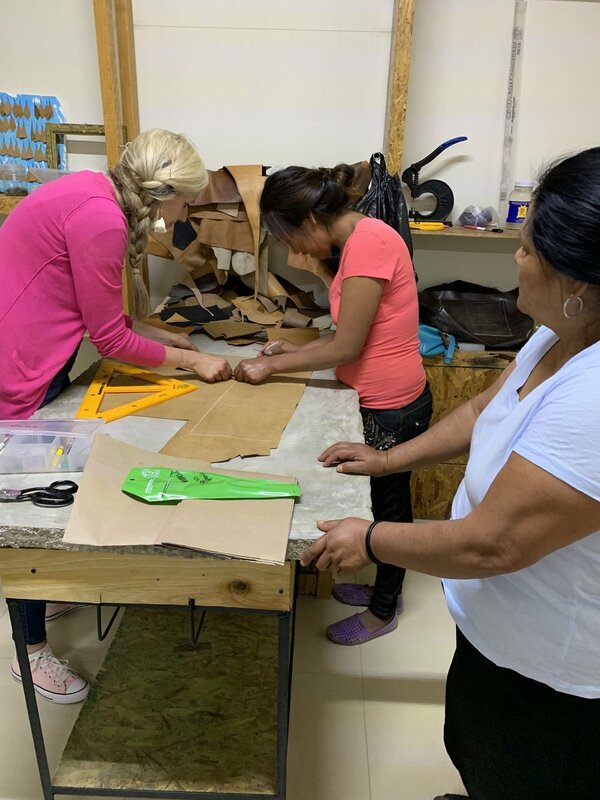 We spent our days driving, visiting with shop owners, and learning the stories of the mamas, whose lives are about to radically change because of this East Tennessee company and a stay at home mama from Seattle. Though this trip was preliminary in nature, WOW was it successful. 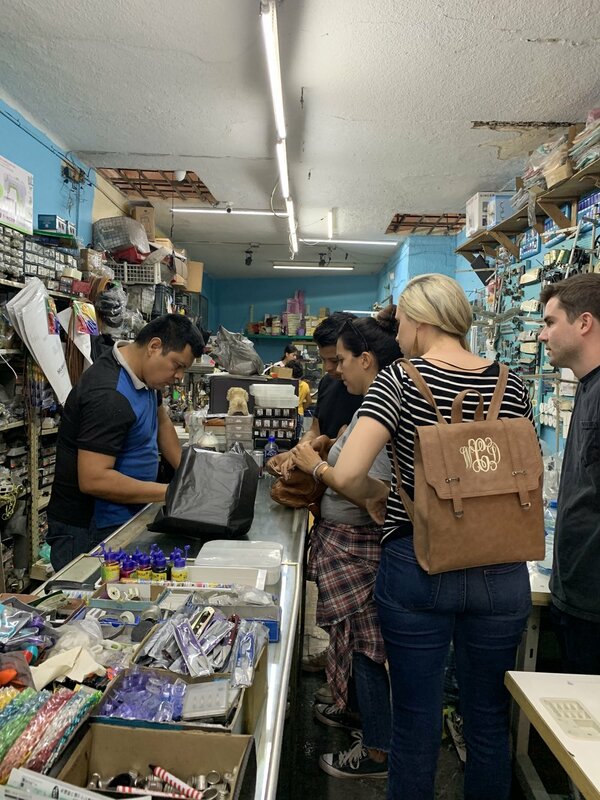 While in Guadalajara, Pink Ever After purchased Marked TWO leather sewing machines, and a whole lot of leather tools, while Angel gave of her time in creating and developing patterns for our new leather line! We are just blown away by the generosity and heart of our partners once again. Dreaming big along side of us, and putting tools in our hands and the hands of our communities. We could not be more grateful. Though we are a few months out from any launch, we cant wait to take you along the journey. And today we believe we did just that. 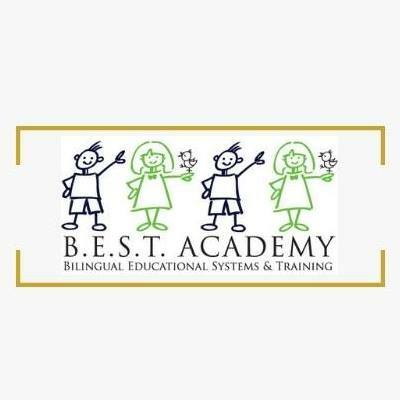 Thanks to our friends at B.E.S.T Academy, they sponsored the entire day. 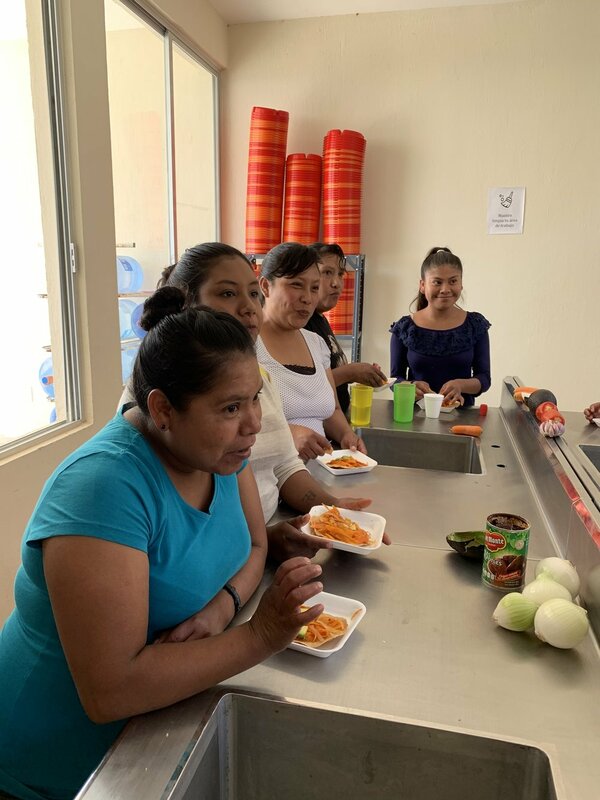 From early morning shopping in the market, meal planning, to having their nutritionist and staff come along, they prepped, purchased and taught the class to our first group of mamas. Today, they made a vegetarian “tinga” with shredded onions and carrots, sautéed with spices and a tomato sauce put over a tostada with avocado. Even 6 months ago I don’t think many would have even tried the recipe, but today we sat around the island as each enjoyed what they had created. Miss Rosa and Ms. Kat then took time answering questions and dialoging about other recipes they would like to learn how to modify, and we set another date on the calendar for the next class. We are so thankful for B.E.S.T Academy and all they have done and continue to do to pour into our communities through education and heart. 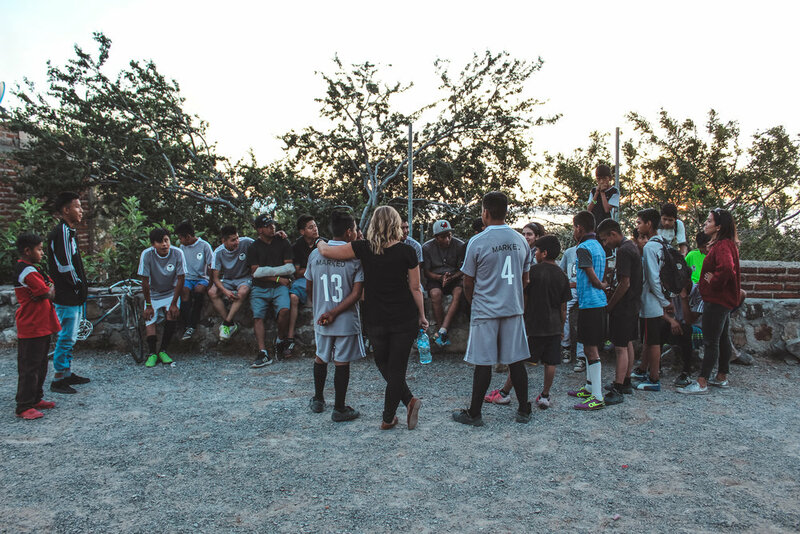 In just a few weeks, we will be celebrating 1 year with our Marked soccer team. Never in my life have I seen more growth and desire to belong than I have in these boys. Never in my life have I seen the impact of family form so quickly and so intentionally. And never have I seen such dramatic change among a group of boys and men so quickly. This past week, we celebrated by taking the boys back to play against our friends at Colegio Once Mexico, the first school to say ‘yes’ to the risk of hosting this group of boys from the ‘barrio’. We drove them to the Chiva stadium in the city to dream once again, and shared a meal around the table at The House, the same thing we did less than a year ago, for their first time out of the villages where they grew up. But what was so profound was reflecting and celebrating with them about how far they have grown and changed. Four of our boys are all in their last year of secondary school (middle school) and will start prepa (high school) in the fall. One is working with us part-time and going to school part time to make up for 17 years of missing out on an education. Another is going to school part time as well to pick up where he left off when he dropped out of school 2 years ago, but is now also attending carpentry school where he not only is learning how to be a master carpenter but was just asked to come on with them for a couple hours after class because of his outstanding work ethic and skills. In addition, we have another who still struggles to stay out of trouble but we continue to cheer him on at every success. He just signed up for GED classes with us and will keep encouraging him until he finishes.And lastly, Gabriel now helps coach the team, he will start barber school in a few weeks, in addition to volunteering his time keeping our boys looking fresh. He dreams of opening the first barbershop in his village, where he can support his family and little boys to dream and grow in wholeness. Then he wanted to know about ‘P’ and why he has stayed. The newest member of our team. He is from the neighborhood our new community center is in, only 3 miles away from our original base but considered a completely different barrio. He goes to school with a few of our other boys, since it’s the only middle school in the area. Though they were not friends, our boys had invited “P” to come out to practice one day when they noticed he was having a hard time at home. ‘P’s dad left their family for another life in the US. New family, new wife, new kids and left ‘P’, his 3 other brothers and sisters, and his mom to fend for themselves. They knew ‘P’ left school early once a week to go to a doctor that helped him with his anger and questions. But they insisted and brought ‘P’ to practice a few weeks before Christmas. And has been with us since. After practice we pile all the boys in the truck and drop them off one by one at their homes, because of the threats they receive walking home at night, down the only road that runs through the villages. Since this team was inaugurated by the death of one of their young men, I always made a point to yell at them out the window Te quiero ‘J’ (I love you, J), Te quiero ‘R’ and so on as each one hops out of the back of our truck. This past week, our team call focused heavily on the testimonies regarding our newest program launched last month. Stories have been pouring in of the impact the teachers and parents are seeing. 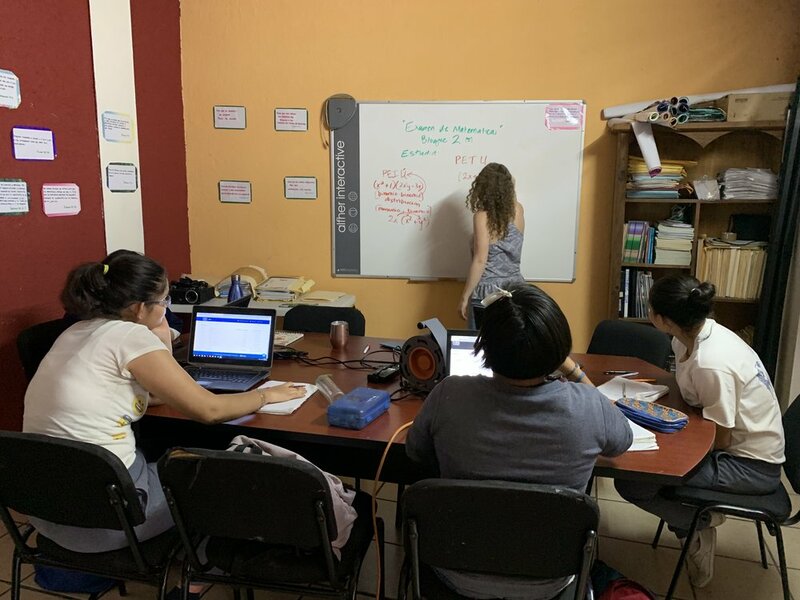 Our class sizes have doubled in size each week since the end of January, with 4-one hour classes each week, hosting an average of 40 children per class. One 6th grader came to us to let us know that his father had enrolled him in both the morning and evening school to try and give him a boost in his education, but rather than a boost, it has caused so much confusion and set backs as both teachers are teaching different things on the same subject. This, along with many other reasons has caused him to fall to a 2nd grade education level. Unfortunately, he is not alone in this. Every student who has walked through our doors are years behind where they should be. But this is changing. In addition to students having no value for education, they are lining up an hour early to ensure they have a seat at the table. We are seeing the culture shift happening right before our eyes. Keeping kids in school, educating a community and empowering them for a bright future has and will always be a goal of ours. And we are excited for the changes that are coming. How your morning cup of Joe can transform a life. Have you tried our coffee yet? Did you know that for every bag sold, you provide 10 meals to a child in need? If you are new to our coffee or our community, welcome! Marked coffee exists as part of the broader Marked community. 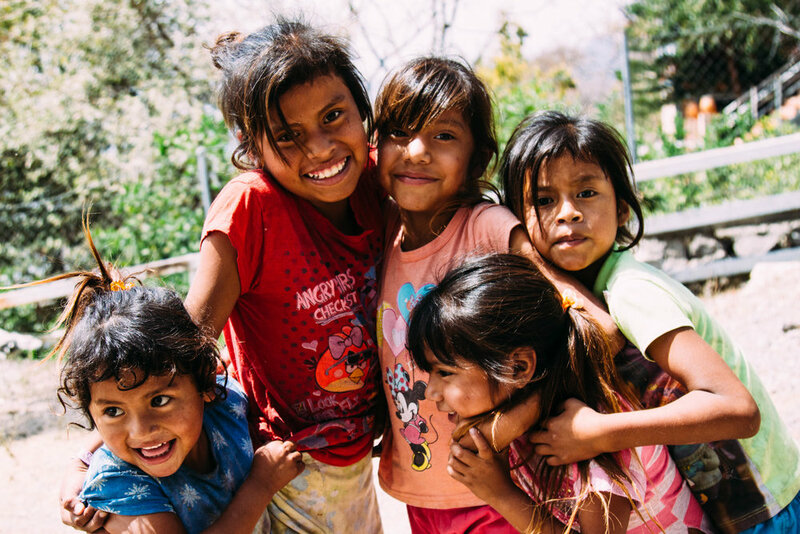 Being a justice based organization, our mission is to break cycles of poverty in the orphan community of Latin America through a model of empowerment. With every bag sold we move one step closer towards our dream of emptying orphanages by empowering lives. Our call is to the lost and broken, our heart is for family and our mission is wholeness that breaks cycles. By purchasing coffee, whether it be a single time, monthly subscription, or the 5lb bag for your business, church or home you are partnering with the mission to see sustainability brought to a community, children being fed and another tool that is keeping kids in school. We have always said, education changes lives and impacts culture. But in order for education to be valued in an environment where it has been seen as a hinderance to working and earring an income from a young age, you must model its importance. Over the past 5 years, we have done just that. Education has been in constant conversation, and on the forefront of our minds. We have invested in the schools, spoke with parents, directors and government officials. We have spoken highly of and encouraged our kids about how education can shape the coarse of their lives, and set them and their families up for the generations to come. A foreign concept by a long shot. The idea that education can help? But the fruit of our efforts is being seen. This year, the village towns have had their highest enrollment on record. 2,460 children enrolled in school, and growing. And just this past month, we had 30 adults and youth who most never attended even kindergarten sign up to receive what would be equivalent to their GED. Everyone of our staff moms, and even our soccer boys are learning the importance of what education means for their future. We know this is just the beginning, and we cannot wait to see how this ripple effect with continue to spread throughout the communities. Rounding out our Christmas events we had 2 special groups that also needed to be celebrated. First our mamas group who work and volunteer weekly in our village communities, their home towns. 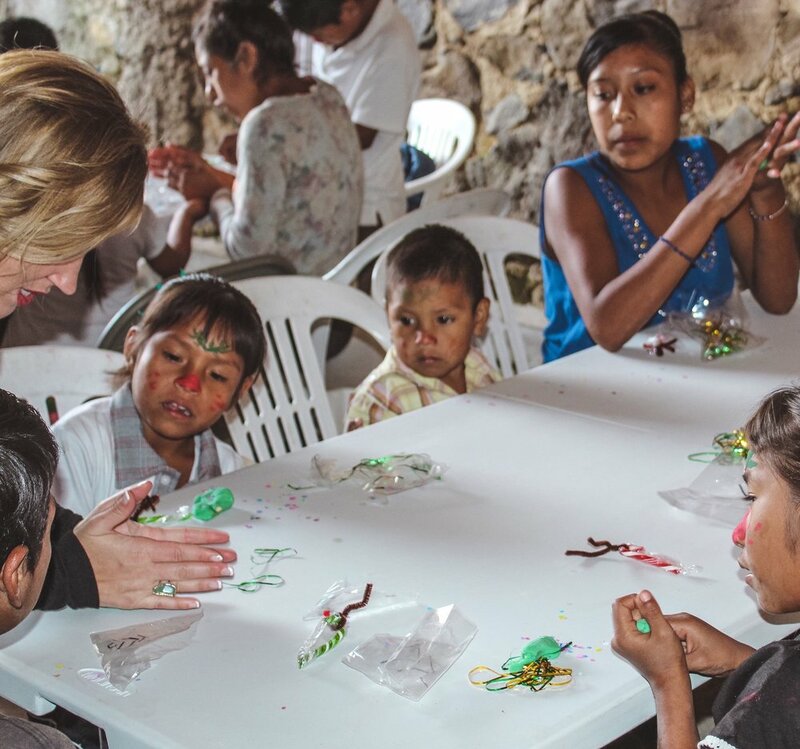 They are our extra hands each and every day, seeing that thousands of children get fed, that the store runs and the jewelry gets made. They are the mamas who are being taught through our weekly programs, and they are the mamas that we hold near and dear to our hearts. These mamas are our family. The second group was our Marked Soccer team. These boys, as you have heard us say time and time again are near to our hearts. They are Marked. Every week in order to be apart of the soccer team, they must serve their community. We have seen so much growth in these boys over the past year. They didn’t know that they were getting a special party, and yet all month long they have served tirelessly. From pulling all nighters to make sure nothing walked away during our Christmas event, to being Santa on the big day. They carried, cut, glued, cooked, ran errands, played with kids and more all the while not knowing they too would have a special celebration all their own. After the big week of events came to a close, we watched them play their final soccer game of the year. Tied. 3-3. We gathered them together, and at the end invited them to their very own “posada” at Carlos and Karlisa’s house the following week instead of practice. To see their faces being invited ‘home’ was priceless. They played games, tackled the “human piñata” to get their candy, and ate till their hearts were content. We invited a friend to come and share his story with them, we read the Christmas story, and simply connected. After all was said and done, gifts specifically for each boy, with their name on the package was handed out and opened. Everyone more excited than the next. Simply because the anticipation was being built. For some these were their first Christmas gifts ever given. And for all they were the most extravagant gifts they had ever received. From shoes, to soccer balls, hair gel to socks, it didn’t matter, they were thrilled, and we were elated to give it to them. Christmas for us was one for the books, because of what it was for each of the ones we celebrated with. It marked us, and reminded us of the simplicity of what it is to give, give time, love and that no matter how big or small of gift to give is better than to receive. They joy we gained in seeing their faces closed out 2018 for us as another year grateful for each of you who make moments like these and the other 364 days a year possible. 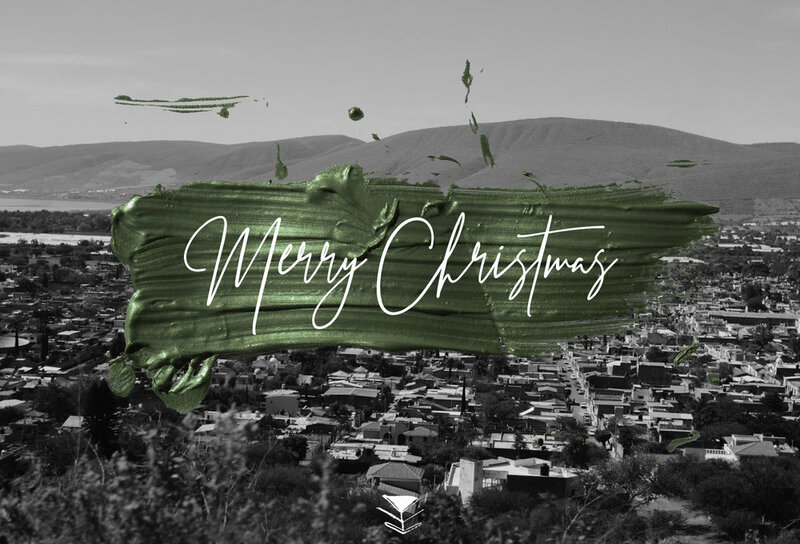 Thank you from the bottom of our hearts for the gift you gave this past year in partnering with us. You’re changing lives simply by saying yes. When you have thousands in your network, Christmas is a month long event. And though we are now well into January, we are just finishing up and starting to get back into our ‘normal’ rhythm. However, we still have a few more events we wanted to share with you! So here is Christmas part 3. 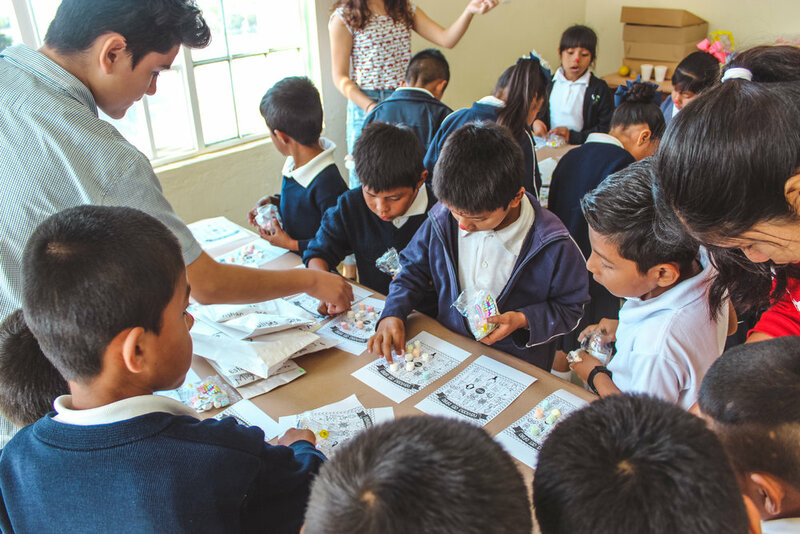 Every Friday, we have hundreds of kids who attend our weekly programs, consisting of a meal together, a lesson, an activity, hygiene education and more. It is a time for us to learn not only names, but stories, who their families are and a more detailed look into their personal lives. This is a time for us to not only give back, but to slow down and learn. It’s a place of safety, and laughter. 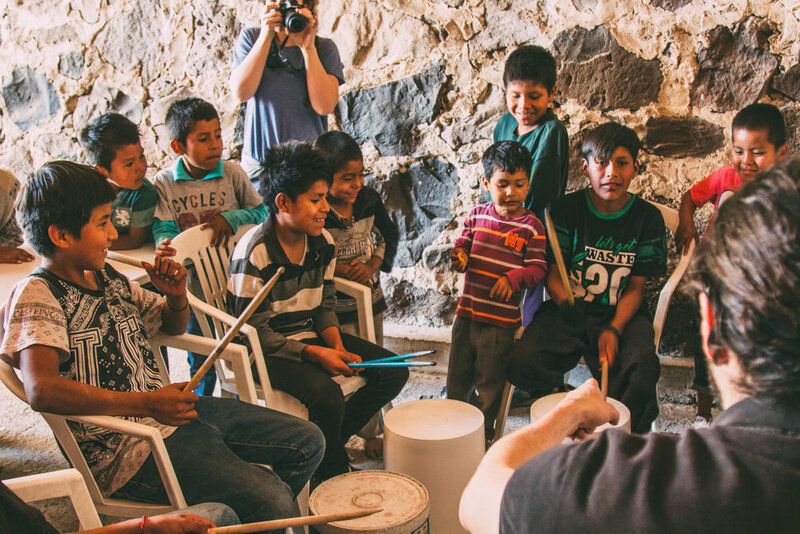 A place where these children and families alike are learning more in-depth what it means to be a family. And for our team, where they learn to slow down and love deeper despite the heartache and pain of the stories they are now entrusted with. Our team requested we do something more personalized for the hundreds who attend weekly, so they set off and made a plan and executed beautifully. 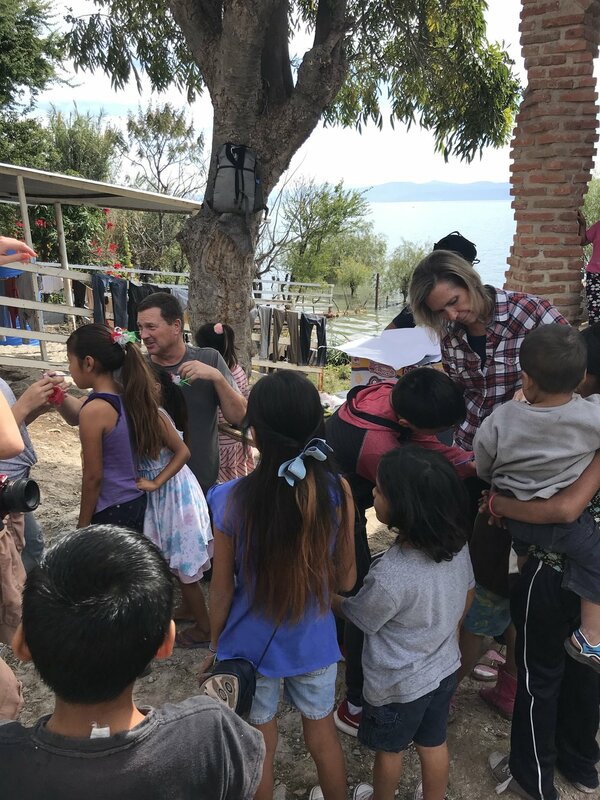 They partnered with our local church in Guadalajara, Origen who personalized and stuffed well over 300 boxes filled with toys, clothes, hygiene products, food and more. When the day came, we began our weekly activities per usual, only this time they had one surprise after another wrapped into their usual activities. I don’t think there was a quiet moment this entire day no matter how hard they tried. The squealing could have been heard for miles. At the end of each groups activities, we piled them all inside one of the rooms in our village base, sat them down, and told them that someone who loved them had gone out and hand picked gifts specifically for them. That their names were known. One by one, we called out their names, the room filled with cheers and applause. Gifts were given. And soon after ripped into. Every child excited for the next. Laughter, tears, and tangible excitement filled the air. Thank you’s and hugs and a quick hurry out to show their mamas what they were given, as the next groups lined up outside waiting for their turn to see what all the excitement was about. After weeks of hard work and dedication from our team, of both staff and volunteers, our rooms and stations were ready to go, with our team of mamas cooking in the kitchen. Our staff and volunteers splitting up into 10 different stations. Each station stocked with another surprise. Then we waited, until all of us sudden you saw (or should we say heard!) hundreds of children in their uniforms filling the streets with white paper bags now decorated for Christmas. The first school had arrived!! Let the party begin! Each school that arrived was greeted from different volunteers and organizations who had also made this week possible. We then had them split into groups, and the children and teachers dispersed. Some heading inside to make snow globes, play Christmas bingo with marshmallows, and to hear/ act out the Christmas story all the while filling their bags with goodies and drinking hot chocolate. While the others were headed down to the field to meet Santa, make Play-dough Christmas trees, get their faces painted, eat a yummy burrito, make a candy cane reindeer and play different games. The laughter could have been heard for miles. With each group that left another came. For 2 full days, every hour on the hour a new set of faces would come across our stations. But this time, rather than it just being faces, we knew their names. Let's Talk about Christmas Part 1. First of all, THANK YOU to everyone of you who made Christmas for our kids possible this year. We celebrated big with over 2,500 children in our villages alone, not including all our home visits. Jacque, our home lead, specialized each Christmas celebration to the homes request. For our baby house that looked like hundreds of diapers and formula gifted all the way to our girls home where they requested Samy and Pati’s tamales, Christmas cookie decorating, Christmas caroling, a photo booth and games, a piñata and more. Ending the night with a big game of hide and seek in the dark. For our villages, we split the celebrations into 3 days. 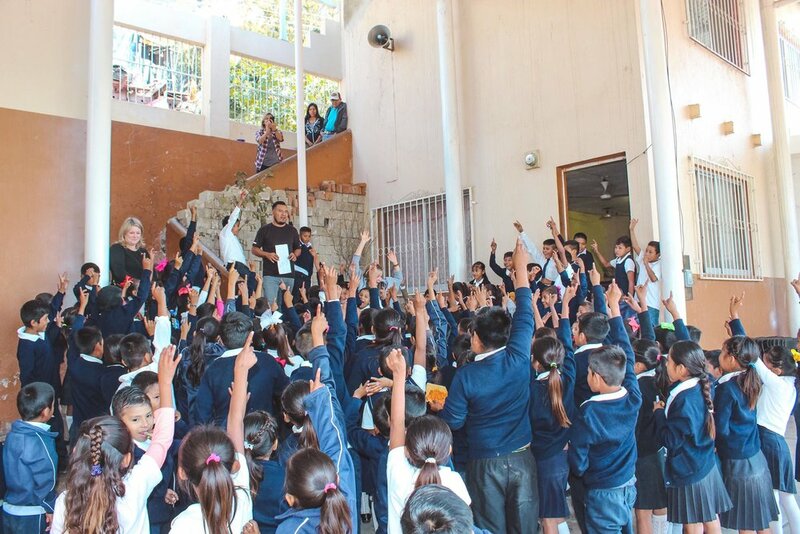 Each day seeing almost 1,000 children. The Monday prior to their event day, our crew headed to the school with paper bags to invite the kids to their big Posada (Christmas party). We handed out white paper bags as their “ticket” in that was to be decorated with their teachers prior to their arrival. Inviting the children was more than we could have imagined. We added 2 new schools to our programs this year, many of which only eat a meal or two a week (for most that is the meal Marked provides through our school lunch program) let alone do anything for Christmas, and so seeing their faces and their responses to the invite will forever mark us. From mouths completely dropped to the floor, to tears, to kids laughing in hysterics because they were so thrilled, it was a moment we will never forget. Moments like these are made possible by you! And for that we are forever grateful. Next week: Christmas Part 2. 2019. 2019. 2019. 2019. 2019. Can you believe 2019 is here! There is something magical about the start of a new year. For us it a clean slate to dream, to explore and to discover. Its a new year to grow, reflect and change. Its a time where we plant deep, for the new seasons that are ahead. Its a time for hope to arise, and to remind our soul of the promises that await. Each year we set time aside to reflect on the past year, and dream for the year that is head of us. We take time to slow down, and ask questions. What are some of the ways you start each year? Do you have a word for each year that you hold onto? Do you look back at your journals to see all that has taken place over the past year? Or do you jump straight into the new year? Do you like to reflect back with others? Or is it something you do personally? Or maybe not at all? Do you set goals for each year? Or write down things you would like to see happen? We would love to hear how you look back on each year, and how you strategize for the year that lies ahead. However you do it, we wish you a happy new year! May this year be MARKED with provision, favor and dreams fulfilled. May it be filled with meals around the table and laughter in your homes. May 2019 be a year you will never forget. Its hard to believe we are at the close of yet another year. 2018 was filled with so much growth within our children and communities, but also for Marked. 2018 has been yet again another monumental year for us, we are pleased to inform you that because of you, our generous partners, this has once again proved to be our most successful year to date. With your support both financially and of your time, we have accomplished so much to improve the lives of thousands of children and adults in our network. Here is a brief summary of what we have accomplished TOGETHER this year. This year, we reached nearly 16,000 children through our programs, not including their parents and grandparents alike. With that, we served over 200,000 meals nearly 17,000 kilos of that being protein. 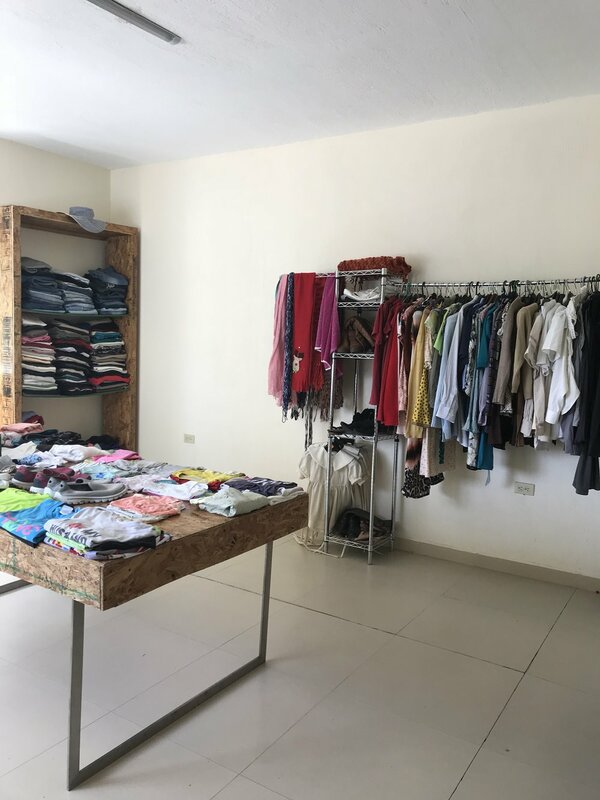 We distributed over 38,000 articles of clothing through our Marked store and saw 2,460 children enrolled in school through our school partnership program. We also expanded into new buildings this year. Receiving the Marked Community center, from the local government, not only increased the amount of people we can now reach but also, has given us access to a new community. It gave us our own soccer field, which has now seen over 120 of the hardest cases running up and down the field. Hundreds of medical and dental cases have been resolved, and over 20 children have been rescued just this year alone. We cannot thank you enough for the love you have poured out and the lives you have changed because of your generosity. We cannot wait to see what 2019 brings. So here is to a new year, new growth and abundance. For every seed you plant, may you see an abundant harvest. We wish you a Merry Christmas. We pray your week is filled with laughter, meals around the table, warm fires, sparkling lights, candles burning and a hot cup of Marked Coffee in hand. That memories will be made, and stories will be shared. That you would take time to dream about the new year, and reflect on the year just had. We are thankful for each and everyone of you. And pray this season would bring you joy unspeakable as we move into a new year. May you feel His presence wrapped around you this Christmas season. Now that school is almost out, we wanted to create a short list of activities you and the family can do to spark connection and focus on what is important this time of year. Each other. We hope this season is filled with meals around the table, long conversations and dreaming together for the new year. Build a Gingerbread house together, or make it a competition. -Either buy a pre-made kit, or take your kids to the local grocery store (ideally one that carries bulk candy), let everyone pick out a couple different kinds of candy, then buy everyone a container of frosting and a box of graham crackers and have at it. If its a competition give them a timeline. Then vote! TIP: Stores like Winco have cheap bulk candy isles, and/or the dollar store for frosting and graham crackers for a buck! TIP: Turn on Christmas music and make a hot coco bar for the entire family to enjoy while they are decorating. - Start your morning before the kids wake up, brew yourself a coffee, turn on the Christmas tree lights, light the candles, play Christmas music softly in the background and start making breakfast for the family. What were some of your childhood favorites? For us, we are big fans of sticky buns, cinnamon rolls (both of which can be prepared the night before), dutch babies (you can find the recipe in our Marked cookbook) or a waffle bar with all the toppings. - Once the kids wake up, have them each open up a cookbook and pick out a Christmas cookie they would like to make, if they're little, we recommend sticking with a classic sugar cookie recipe and letting them pick out the cookie cutter designs as well as helping you decorate. - When the cookies are done, or maybe they are cooling. Pull out a puzzle, or a game they have been asking to play for awhile. After all you are in no hurry today. -After games are done and the puzzle completed, begin to prep dinner. Maybe its build your own pizza night, or chili and corn bread around the fire. Either way, use this intentional time to connect. Asking questions like what they loved about this past year, and even what they didn’t. TIP: We call this “popcorn” where we go around the room letting each person pick the next, asking about their ‘high’ and ‘low’ of the day/week/year. - Last, turn on a Christmas movie the whole family will love. Pop popcorn, create a build your own hot coco bar, snuggle up by the fire and enjoy a quiet night together. TIP: PopCorn bar: popcorn, m&ms, nuts, caramel corn, cheddar corn, cinnamon and sugar shaker. etc. Hot coco bar: Hot chocolate, mini marshmallows, mini chocolate chips, candy canes, whipping cream, straws. - Pack a sack lunch, lots of snacks, a thermos of hot apple cider/ or hot coco and some Christmas cookies and head to the mountains. TIP: Sandwiches, apples, carrots, and pre-made salads, both pasta and green are great for on the go. If you have multiple thermos’ hot soup is also another favorite of ours to take on the road. -Find a hike that you have been wanting to check off your list, if snow is in the forecast find a place with a good sledding hill, if you are a family that enjoys outdoor sports, head to your local ski resort for a fun day out. -For those of you who do not have kids, or have older kids, this is another one of our favorites. Invite a group of friends/family over to the house for cookies and coco and ask them all to bring “X” amount of their favorite things. (For example, if you have 5 friends joining, everyone brings 5 of the same item to give.) For each gift being given, have the giver explain why the item is their favorite. By the end of the evening, everyone leaves with “5” new favorite things that hopefully they too will love. TIP: If you are worried, set a price point (ie $10 per gift), or set a theme (ie Kitchen, Spa day, outdoors etc). If you have more people joining, then ask everyone to bring 3-5 gifts, they won’t each get one of everything, but everyone will leave with the same amount of gifts. -Find a local shelter, church, or organization that you believe in and spend an afternoon serving them together. -Collect socks, shoes, blankets and coats and deliver them to those in need. -Fill ziplock bags with non-perishable items and deliver them to homeless in or around your community. TIP: Things to add to bags: hand warmers, hand sanitizer, toothpaste, toothbrush, bandaids, socks, gloves, granola/ protein bars, apple sauce squeeze pouches, nuts, crackers, fruit/fruit snacks, water bottle. Still needing a few more ideas? PJ’s and Christmas Lights, drive around with the family finding the best Christmas lights in your city. Let each kid decorate their room with snowflake cut outs, and other Christmas crafts they have created this year. We hope this Christmas season is filled with memories that last a lifetime! How fun it has been to see the kids faces light up with delight. 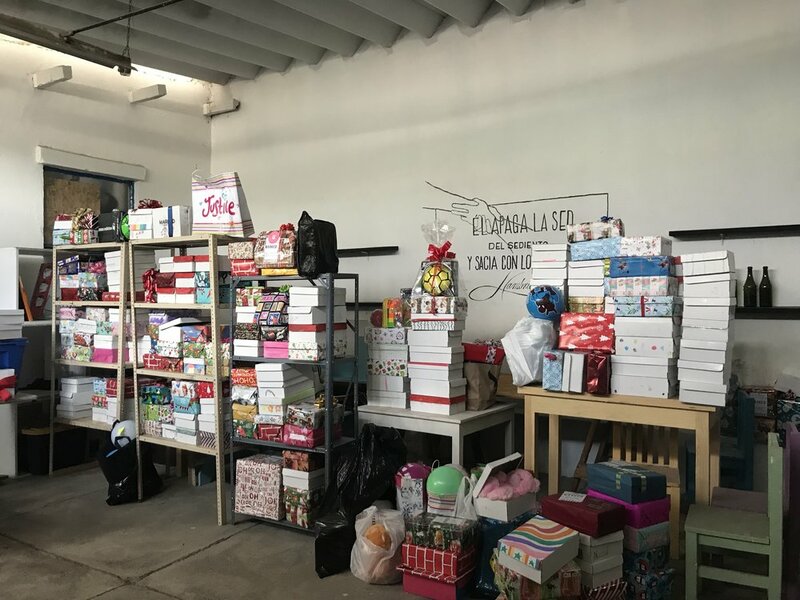 This year, being in our community center we opted to have the community get involved with the entire process from decorating and getting the rooms ready, to volunteering for the day of events. We had different local organizations join in on the fun, donating Christmas trees to fill our rooms, decorations, crafts and more. Our team has been hard at work for weeks leading up to the events, anticipating all that is to come, seeing the smiling faces, hearing the laughter filling the rooms. The simple sounds of Christmas. For many this will be their first Christmas experience, first Christmas tree & first time hearing the Christmas story. But for most, this is one of the incentives of being in school. For us, we choose to partner with the local schools, for every child enrolled in school they are invited to participate in events like these. Christmas for them is another time to celebrate. But for us, not only is it a time to celebrate but it is also another way we encourage education and sustainability through out the year. Follow us along on Instagram (@markedbyheaven) these next few weeks as we share more of the Christmas experience with you. You might think that “sustainability” is just a buzzword. You probably hear it used all the time in all kinds contexts. There’s sustainably-sourced clothing products and food, sustainable business growth, and sustainable treatment of the Earth. You might call this word trendy and common and be tempted to throw it out. But we never will, because the truth is, sustainability is at the very heart of everything we do. As an orphan care ministry, here is an idea of what we DON’T want: to spend endless donated resources on a system we created that relies on us, creating a culture where the only time good things happen is when we show up with lunch. What happens if we can’t be there? What happens when we drive away at the end of the day? In everything we do, our heart is to create sustainability. We want to empower people to stand up and take ownership of their villages and cities. We want to give people everything they need to continue the work we’ve started, creating jobs and opportunities for people who would have otherwise stayed lacking. When we’re the heroes, only we win. When we make them the heroes of their own story, everyone wins. With this kind of sustainable growth, villages are transformed and nations are changed. This is the heart of Marked. In everything we do, our heart is to champion the ones that are often ignored, and encourage them to go farther and dream bigger than their circumstances should have allowed. For Marked as a whole, our focus has become to create sustainability in every single thing we put our hands to. We’ve been dreaming of bringing in resources above and beyond the generous donation of churches and individuals all over the world. We’ve started to use our gifts to create things that will propel the mission forward. We wrote a cookbook, dreaming of feeding families in Mexico with the proceeds. We’ll begin selling Mexican coffee as well, with the intent of creating jobs for young adults (most of whom typically resort to joining the cartel or prostitution, out of desperation for money and belonging). 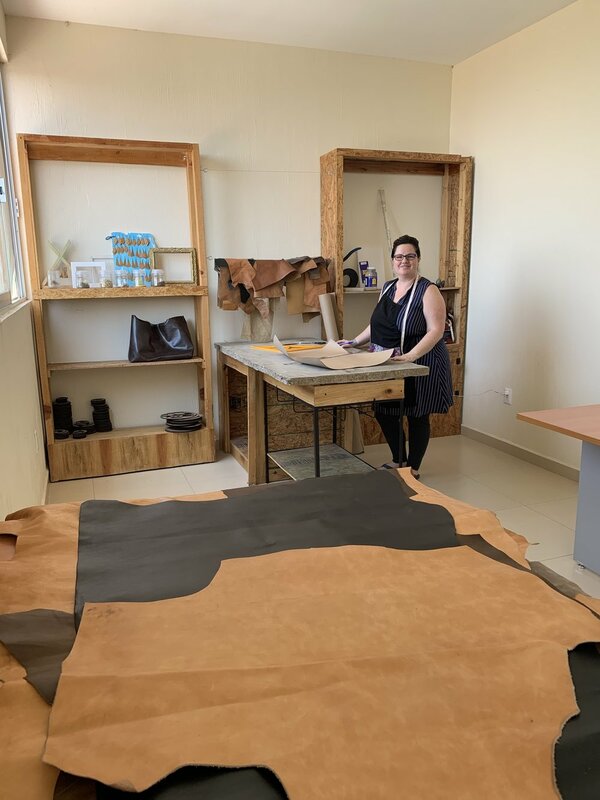 Our artisan shop where moms and dads alike are creating custom leather goods and the Marked store and barber shop are other ways we are breaking cycles and empowering lives. Instead of creating a system of dependency and lack, we’ve decided that we’ll become part of a sustainable solution. Long-term transformation and impact for countless little lives. Will you join us in this journey? In today’s world, sometimes it’s hard to have “vision” beyond what we will have for dinner in a few hours, much less a year or two down the road. With things changing and shifting so often, it’s becoming increasingly difficult to set goals, make plans, and run after them relentlessly. In America it’s easy to grab ahold of the “just take care of YOU” narrative and have no grid for the kind of world we’re creating for our children and our children’s children. I’ve heard stories of old men in ancient days that would plant hundreds of acres of seeds, with the vision that one day their great grandchildren would have an entire forest of old oak trees to build with and cultivate. They saw beyond themselves and paid a price for something that they would never reap the benefit of themselves. We see the same story with biblical kings that would invest everything they had to build a temple that they would never actually lay their own eyes on, because it would take hundreds of years to complete. What’s the difference between them and us? What has changed? It all comes down to vision. These people chose to say no to the luxury of today because they saw that the inheritance that they could leave for their ancestors, and it was worth it to them. We talk a lot about our “500-year vision” around here. It seems startling to people sometimes. How can you have vision for something that may never see come to pass? Our answer looks a lot like the old man with the handful of seeds. We’re thinking about the ripple effect that just one life can make. What’s our vision? An Orphan-less World. We don’t think we’re going to get there overnight. Maybe not even in our lifetime, although we will believe for it and do everything we can to see it come to pass. But every single thing we do, every life saved, every family transformed, every orphan adopted, is one seed in the ground. What’s YOUR 500-year vision? What do you want to see transformed in your lifetime? What kind of world do you want to leave for your children and grandchildren? We would love to hear your thoughts in the comments below!